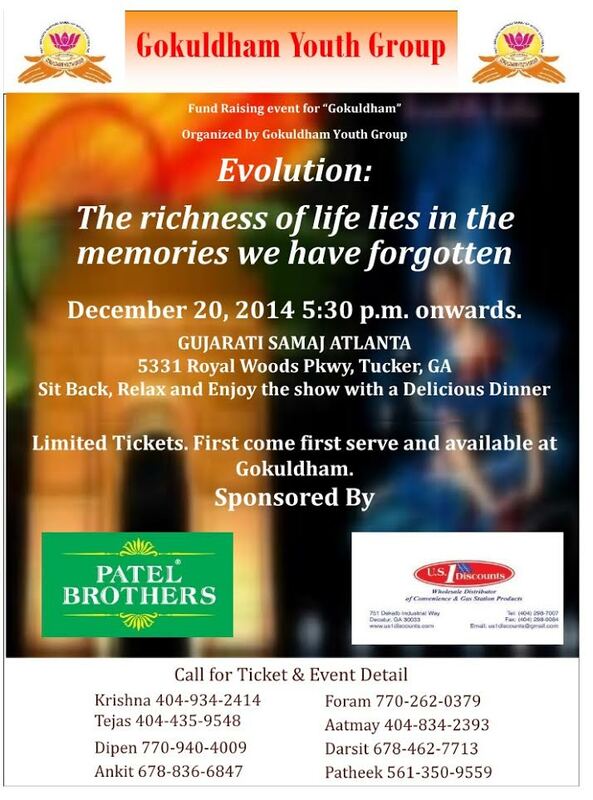 Venue: Gujarati Samaj, 5331 Royal Woods Parkway, Tucker, GA 30084. Mahaprasad will be served after Darshan. Gokuldham Haveli, Suite #109, Global Mall, 5675 Jimmy Carter Blvd., Norcross, GA 30071.